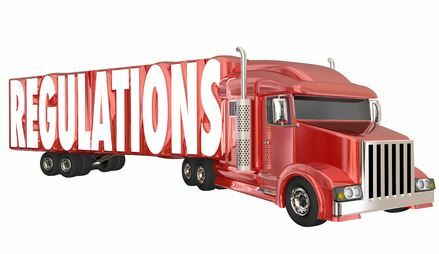 Traffic Violations | Platinum Drivers Inc.
What kind of training should new truck drivers be required to have? According to the Federal Motor Carrier Safety Administration (FMCSA), they’ve come up with a final ruling that dictates minimum training rules for new truck drivers. The compliance date is still a ways off, though: February 7, 2020. The mandate was set to go into place but got delayed when the Trump administration froze all pending regulations until further review this past January. So what’s the deal with FMCSA’s rule anyway? It applies to 1) first timers going for their commercial driver’s license(s) 2) drivers who want to upgrade their CDL to another classification and 3) drivers who want a first time endorsement for hazardous materials or passenger/school bus operations. It involves both classroom instruction and behind-the-wheel training. Though some would have liked to have seen a 30-hour minimum of behind-the-wheel training, the FMCSA didn’t include a set number of hours. They claimed it wouldn’t make fiscal sense and its safety benefits were hard to quantify. Critics think this “rule”–which essentially doesn’t require a certain/set amount of hours behind the wheel–is a stupid waste of time and ink. It does seem to be weak for a rule, don’t you think? The rule, which was mandated by a highway bill passed by Congress in 2012, is ultimately put in place in order to improve highway safety for everyone by ensuring that truck drivers properly demonstrate that they’ve mastered safe operation standards of the commercial vehicle they drive for a living. Will the FMCSA rule matter much? Well, put it this way: more than 32 states as well as top CDL training schools already require new drivers to complete a set, minimum number of hours of behind-the-wheel driving. Many expect no less than 40 hours, which makes sense since you’d want a trucker to have many hours of behind-the-wheel practice in real-life situations, right? The rule could be better, but for now states and companies mostly take care to train their drivers well and set forth decent standards. If you’re a truck driver in Florida, Georgia, Louisiana, Oklahoma or Texas, and you’re looking for a CDL driver staffing and placement service, Platinum Drivers handles recruiting, qualifying, staffing and placing commercial truck drivers. Direct your questions to info@platinumdrivers.com or call 832-562-3300 for more information.